Shadowbinder just wanted to enjoy the Trickmurk Circus over a game of Crescents & Creatures, but a bit of magic got involved and now everything's gone wrong! The game has jumped out of the board and infiltrated the Tangled Woods, and it's our job to help Shadowbinder fix everything before the festival is over. Are you ready to help Shadowbinder? Only the aid of plenty of willing dragons will be able to help Shadowmama return everything back to order, so come join the fun and games to make this gloomy circus the best one it can be! Many gifts are given at good parties, and the Shadowlings have arranged plenty down below to be given out as thanks for supporting them with helping dragons. If you want to see who's available to accept your dragons and help guide them towards Mama's lair, click on the image below! This raffle runs from 00:30 FR on February 17th, 2019, to 23:40 FR on February 23rd, 2019. This is to allow for time for attendants to clear any backlog they may have. This raffle is for non-Shadow members only. If you are a member of Shadow, please enter the In-flight Raffle here. Dragons sent via 1-Way Crossroads for 0t or sent via PAs for 1t will earn triple tickets. You may also purchase tickets! Tickets are sold for 1000t or 1g each. Please send this ticket money to @Verderagon by PM, with the title "Trickmurk Raffle Tickets". At the end of each day, the spreadsheet will be cleared and entries will be moved to the Master Sheet. If you do not see your dragons on the main sheet the following day, this is why. Please contact @GrinningFox for any questions regarding the Master Sheet. Raffle drawing will begin around three days after the push. Before then, you will be pinged and asked to check over your dragons to clear out as much of human error as possible. Main raffle winners will be drawn in batches of ten players. If you're drawn, you'll have 24 hours to respond. If you do not respond in 24 hours, you'll be moved to the bottom of the next drawing. If you fail to respond again you will be removed from the list and will have to be drawn again. If you change your username, you are responsible for notifying us before your name is drawn. The bottom post is reserved for Emergency Updates: updates to the thread made when the OP is offline/unavailable. [center][url=https://docs.google.com/spreadsheets/d/1hSQHhWi75ulG5YB76wOQ5DAcpPHq6RixZlO8cuzrLPs][b]~ [color=Indigo][u]SPREADSHEET[/u][/color] ~[/b][/url] [size=2][url=http://www1.flightrising.com/forums/raf/2633531#post_2633531]Top[/url] | [url=http://www1.flightrising.com/forums/raf/2633531#post_37755275]Rules[/url] | [b]Payouts[/b] | [url=http://www1.flightrising.com/forums/raf/2633531#post_37755285]Badges[/url] | [url=http://www1.flightrising.com/forums/raf/2633531#post_37755287]Prizes I[/url] | [url=http://www1.flightrising.com/forums/raf/2633531#post_37758209]Prizes II[/url] | [url=http://www1.flightrising.com/forums/raf/2633531#post_37758211]Prizes III[/url] | [url=http://www1.flightrising.com/forums/raf/2633531#post_37758213]Support[/url] | [url=http://www1.flightrising.com/forums/raf/2633531#post_37758215]Round Masterpost[/url] | [url=http://www1.flightrising.com/forums/raf/2633531#post_37758222]Emergency Post[/url][/size] [img]https://i.imgur.com/RsnZSsk.png[/img] [color=white]Master has given Verde a chart! Verde is freeeeee! [/color] [size=2]Last updated: Beginning of Push[/size] [b]For up-to-date prices[/b], please look at our [url=https://docs.google.com/spreadsheets/d/1hSQHhWi75ulG5YB76wOQ5DAcpPHq6RixZlO8cuzrLPs/edit?usp=sharing][b]attending sheet[/b][/url]! Also linked on the top of each post. Master has given Verde a chart! Verde is freeeeee! For up-to-date prices, please look at our attending sheet! Also linked on the top of each post. In addition to the treasure, gems, and prizes you can win at our raffle, we also have both daily badges for this push and tiered persistent badges for you to collect with your continued support! Sending five (5) 0t adults the day immediately after. Sending ten (10) 0t adults any subsequent day; this can be done for any previous day's badge. As a thank you for your continued support, this set of badges will be available across multiple pushes, so if you can't collect the highest one now you can do so later. You don't have to do the tracking, either - we have a tracker you can use to see how many levels you've sent us across multiple pushes! [center][url=https://docs.google.com/spreadsheets/d/1hSQHhWi75ulG5YB76wOQ5DAcpPHq6RixZlO8cuzrLPs][b]~ [color=Indigo][u]SPREADSHEET[/u][/color] ~[/b][/url] [size=2][url=http://www1.flightrising.com/forums/raf/2633531#post_2633531]Top[/url] | [url=http://www1.flightrising.com/forums/raf/2633531#post_37755275]Rules[/url] | [url=http://www1.flightrising.com/forums/raf/2633531#post_37755281]Payouts[/url] | [url=http://www1.flightrising.com/forums/raf/2633531#post_37755285]Badges[/url] | [url=http://www1.flightrising.com/forums/raf/2633531#post_37755287]Prizes I[/url] | [url=http://www1.flightrising.com/forums/raf/2633531#post_37758209]Prizes II[/url] | [url=http://www1.flightrising.com/forums/raf/2633531#post_37758211]Prizes III[/url] | [b]Support[/b] | [url=http://www1.flightrising.com/forums/raf/2633531#post_37758215]Round Masterpost[/url] | [url=http://www1.flightrising.com/forums/raf/2633531#post_37758222]Emergency Post[/url][/size] [img]https://i.imgur.com/4rEeubX.png[/img] [/center] [LIST] [*]AlienaCordis for the headers, signatures, banner text, and persistent badges. [*]UrbanPhantom for the banners. [*]Crowworm for the badges and lore for the push. [*]Aeonox for other miscellaneous thread assets. [*]Cinderfire for much of the thread code. [*]Seradis and Neroli for proofreading. [*]Whimzica and all of our foddart artists. 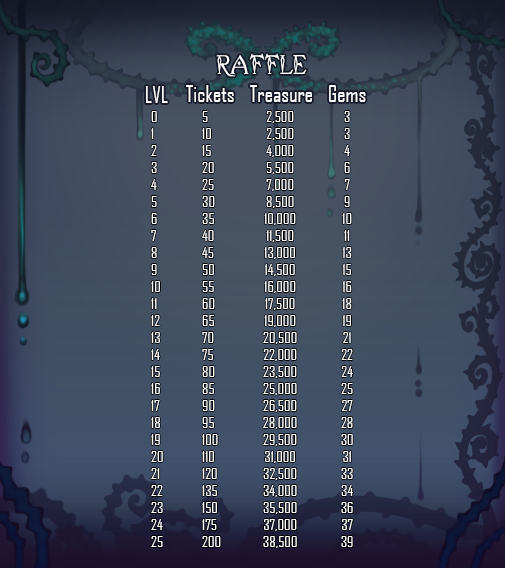 [*]All of our raffle acceptors, for their time and dedication. They're awesome. [*]GrinningFox for the sheets and overall awesomeness. [*]Last but not least, you for joining us! AlienaCordis for the headers, signatures, banner text, and persistent badges. Crowworm for the badges and lore for the push. Aeonox for other miscellaneous thread assets. Cinderfire for much of the thread code. Seradis and Neroli for proofreading. Whimzica and all of our foddart artists. All of our raffle acceptors, for their time and dedication. They're awesome. GrinningFox for the sheets and overall awesomeness. Last but not least, you for joining us! Round winners will be posted here. Emergency updates to the thread will be here.